Judge of the Supreme Court of the Republic of Chechnya Vakhit Ismailov has ruled to sentence Ukrainian citizen Mykola Karpiuk to 22.5 years in a strict-regime penal colony, another Ukrainian citizen Stanislav Klykh has been sentenced to 20 years in prison, according to Radio Free Europe/Radio Liberty freelance journalist Anton Naumlyuk. "Both Ukrainians signed an application for submitting an appeal against the court's decision," he wrote on Facebook on Thursday. 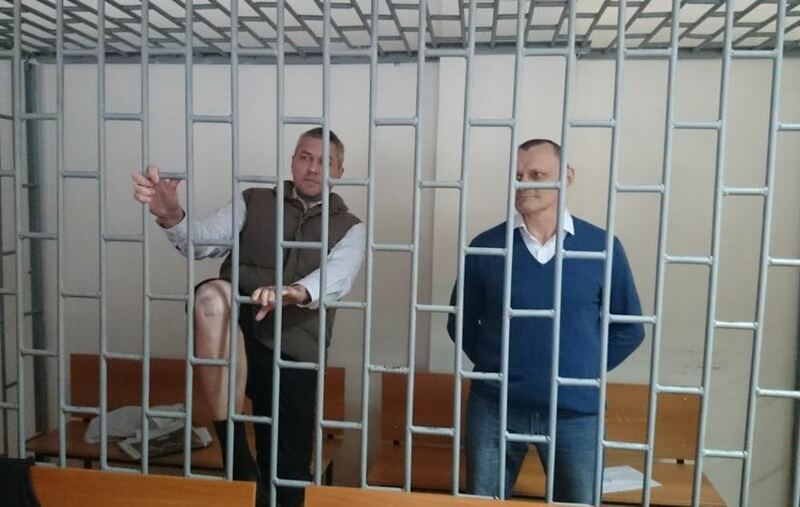 As was reported, a prosecutor in Russia's North Caucasus region of Chechnya called for two Ukrainian citizens convicted of fighting alongside Chechen separatists in the 1990s to be sentenced to 22.5 and 22 years in prison, respectively. Read alsoKremlin's prisoners: Media tell of Ukrainians thrown into Russian dungeonsKarpiuk, born in 1964, the leader of the Ukrainian National Assembly-Ukrainian National Self-Defense (UNA-UNSO) and one of the founders of the Right Sector, was detained under unclear circumstances in Russia on March 21, 2014. Based only on the statements of a Crimean recidivist serving a sentence in a Russian colony, the Russian services fabricated a criminal case against Karpiuk, claiming he allegedly fought against federal troops during the First Chechen War and even killed a number of Russian soldiers. Stanislav Klykh, a historian, was detained on August 11, 2014, when he arrived to visit his girlfriend in the Russian city of Orel. The Russian authorities accused him along with Karpiuk of involvement in the murder of Russian soldiers during the First Chechen War. The two Ukrainians deny their guilt, saying that they were tortured to witness. Ukrainian President Petro Poroshenko said that Karpiuk and Klykh should be freed under the Minsk agreements.